On the 19th of September 1854, English photographer, and a proponent of pictorial or impressionistic photography, George Davidson was born in Lowestoft, Suffolk, England. He is noted as one of the most important figures in the development of Pictorial photography at the end of the nineteenth century. Born into a comparatively modest family – his father was a shipyard carpenter – he was the only one of his siblings who was lucky enough to receive a secondary education. Davidson first took up photography in about 1885 and joined the Camera Club when it opened in November that year, becoming honorary secretary the following year. He first exhibited his work in 1886, showing six pictures at the Photographic Society of Great Britain Exhibition. He became a member of the society in November 1886. Pictorial photographers considered themselves serious amateurs—motivated by artistic forces rather than those of financial gain. In Europe they formed salons and clubs like The Linked Ring Brotherhood, The Royal Photographic Society (of England) and The Photo-Club of Paris. 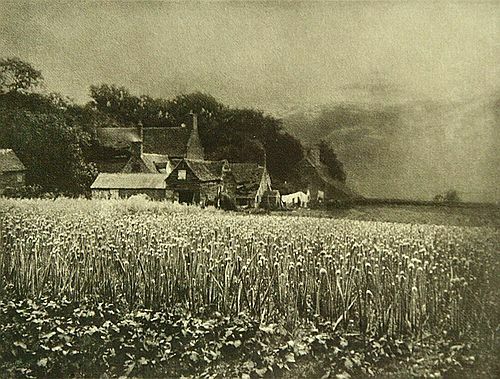 And in America in 1902, Stieglitz established the group called the Photo-Secession. He chose the name “Secession” because of its use by some societies of avant-garde artists in Germany and Austria to denote their independence from the academic establishment.